High winds, heavy snow, fallen trees, power cuts – none of these stopped the “can-do” Cantabrians at Eat deli Bar in Fairlie. It had been the heaviest dump of early winter snow in decades, but now, a fierce wind had blown up and the thaw had begun. 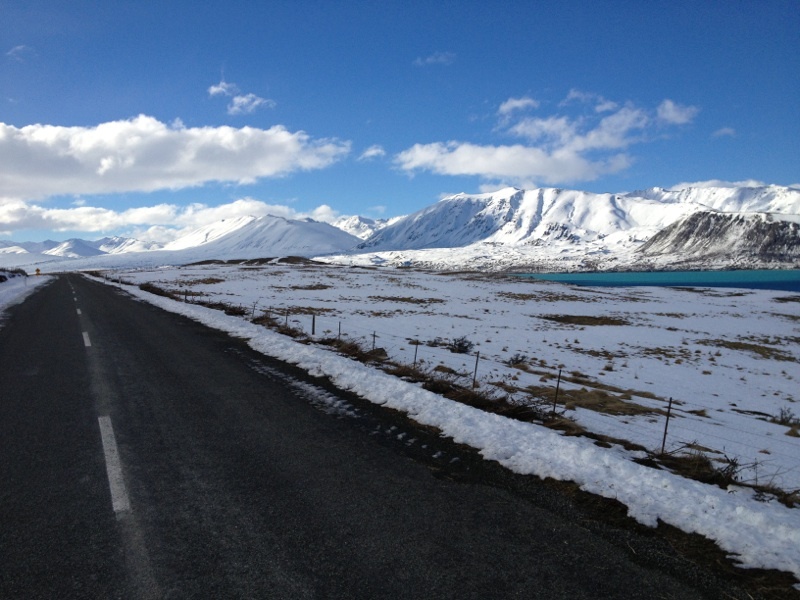 The snow was thinning on the hillsides, the paddocks were mottled with green, there were mushy ridges along the roadside and the rivers were running high, swift and milky. Still, ahead, were the mountains, glistening white against the cloudless blue sky, with the promise of perfect, magical snow. When we stopped for the first morning coffee fix in the small high country town of Fairlie, it was strangely quiet. There were a few people strolling on the street and a few more sitting outside the backpackers’ pub in the sun but in the shops the lights were out and nobody seemed to be home. Finally, at the far end of town, we found Eat Deli Bar. The door was open, there were tables and chairs outside on the sunny pavement, people in the windows and a man behind the counter. Although the kitchen was in semi darkness, a dim shape was at work at the bench and there was a promising clatter of dishes. Before I could gasp out a plea for a flat white, the chap behind the counter explained that an old man gum tree up country had toppled in the wind and brought the powerlines down – the electricity was out, the espresso machine was down and coffees were off. “Yet you’re all still working” I said in disbelief. “Yes, well, we’re Cantabrians” he replied “We carry on, no matter what. So we can offer you a tea and…” he gestured to a blackboard of exotic teas and a cabinet of mouth-watering cakes. We could have driven on. 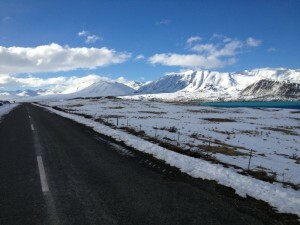 It wasn’t far to Tekapo, power, cafes, flat whites and lattes. But like snow, a “can-do” attitude is irresistible, so we stayed and discovered mango tea and beetroot cake. As they say, it’s an ill wind that blows nobody any good. Eat deli-bar at 76 Main Street, Fairlie, offers dining, deli and espresso. It was established by a pair of Cantabrians who met in the UK and decided to bring the coffee culture back home. The food is delicious, the place is warm, attractive and comfortable and the staff can do anything.